Choose ESET Secure Enterprise if you operate your own gateway server to safeguard your HTTP/FTP communications. The solution provides the maximum level of protection for your endpoints and servers across multiple platforms. For network security choose ESET, the pioneer of antivirus industry for 25 years. Protects HTTP and FTP gateways against known and emerging viruses, worms, spam, and other internet threats. 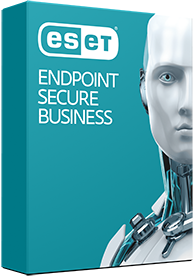 Featuring a small system footprint, ESET Gateway Security solutions are suitable for systems handling large amounts of data on a daily basis.